Commenting on the glam event, Creation Cellarmaster Jean-Claude Martin says that it was not only a privilege to welcome such a distinguished group of Pinot lovers to the estate, but also rewarding to see how well Creation Pinots performed against those from top New as well as Old World wineries. Click here for Jean-Claude’s feedback. 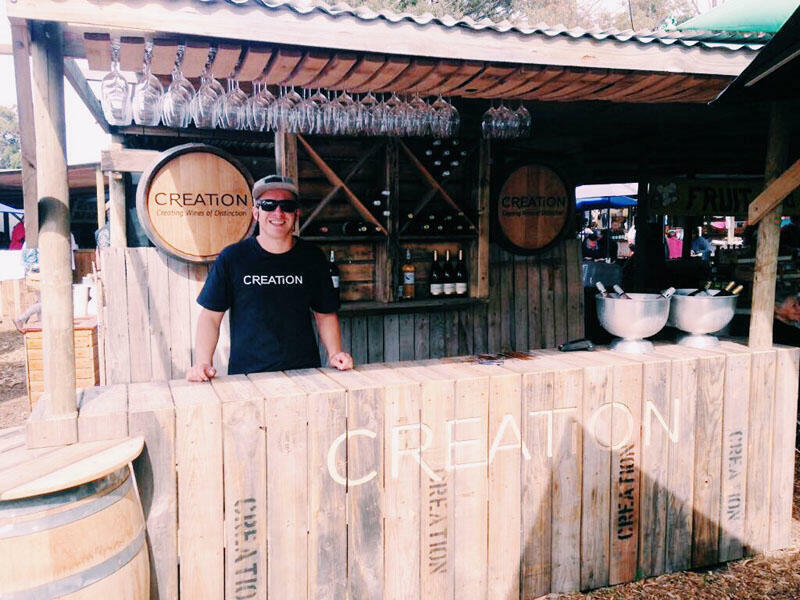 “On a recent trip to Hermanus, a visit to Creation Wines was on the itinerary. I don’t know what I was thinking when I initially turned it down, but after bumping into Carolyn Martin and being seduced by her enthusiasm – as well as a string of delightful memories of meals there – the brunch pairing was restored. It’s a fabulous treat and should never be turned down. Learn from my almost-mistake, people.” – Bianca Coleman, ‘Eat, Play, Drink Cape Town’ Click here to read the complete blog. 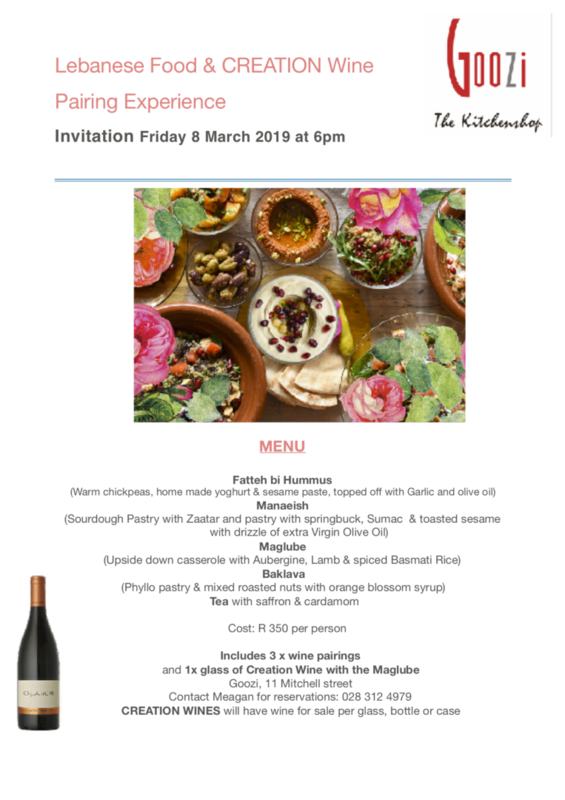 8 March 18h00: Lebanese Food & Creation Wine Pairing Experience, 11 Mitchell street. Over the past ten years Constantia Fresh festival has become one of the most prestigious outdoor wine events in South Africa. A jamboree of flavour and set in the peaceful and uncluttered grounds of Buitenverwachting, the festival is one of relaxation and a taste sensation which will leave body, mind and spirit invigorated. The country’s freshest wines are grouped together stylistically so as to allow visitors to better experience the wide range of vinous flavours whilst top local chefs serve fresh and vibrant food to accompany the wines.